The latest in a series of community conversations exploring the causes of violence in Samoa and what may be done to reduce or end domestic violence was held last weekend in Magiagi. 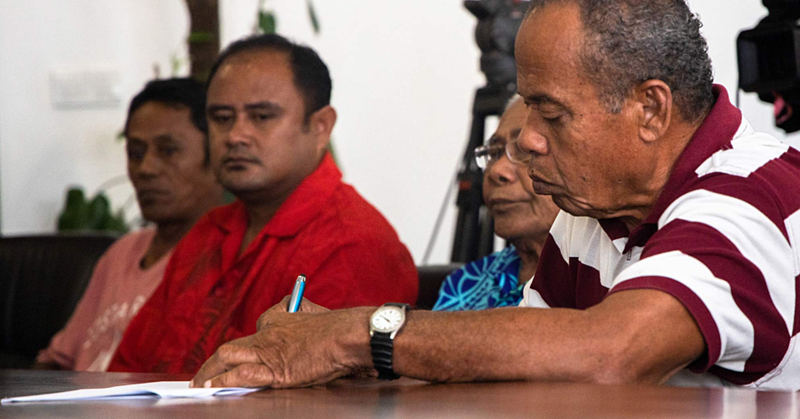 Supported by the Canada Fund for Local Initiatives, dialogue on the issue was opened by a representative of the Community Engagement Unit of the Ministry of Police, Sergeant Lemalu Upumoni. One of the issues discussed in the Magiagi workshop is the underreporting of sexual crimes. “While assault is a big issue, the underreporting of sexual crimes poses a particular challenge when efforts are made to keep the matter ‘under wraps,’ to try to deal with the crime in the family, village or church. There is a Samoan saying often quoted in this context: “e fofo e le alamea le alamea” (the remedy for the toxic sting of the Crown of Thorns starfish is the Crown of Thorns starfish itself). While this can be interpreted to mean that solutions for issues affecting a community can be found within that same community, it can also be a way of saying “we can handle this, there is no need to involve the law”. In some instances, it is the village council of chiefs, the church minister or the parents of the victims (or any combination of these members), who can be complicit in concealing sexual crimes,” stated one participant. The shame and stigma such heinous acts can bring to the families and villages of both the victim and the offender can be a strong deterrent to dealing with the crime appropriately. But where does the victim fit into these concerns? In a recent study, an analysis of Demographic and Health Survey data from 284,281 women in 24 countries collected between 2004 and 2011 found that 40% of women experiencing gender-based violence had disclosed the incident to someone; however, only 7% reported to a formal source such as police or healthcare facility. In addition to shame and stigma, the barriers to reporting or seeking care from formal sources found in the study include financial barriers, perceived impunity for perpetrators, lack of awareness of available services or access to such services, cultural beliefs, threat of losing children, fear of getting the offender in trouble, fear of retaliation, discriminatory and stereotypical attitudes toward victims in courts and law enforcement settings, and distrust of health care workers. In addition, many women simply do not report or seek care because they believe that the violence is normal or not serious enough to report. Significant global underreporting of gender-based violence is why this issue is sometimes referred to as the “silent epidemic”. For the first time in these community conversations, two short plays were performed by youth during the workshop. 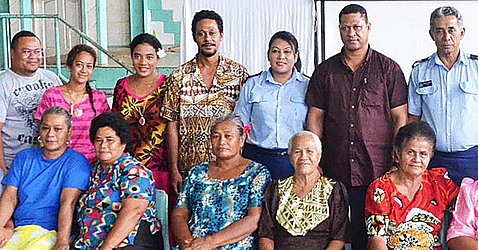 Constable Usoatua Atalynda Iuli and Ms. Faitasia Taufao worked with youth to create the two-act plays portraying violent and non-violent responses to the same situation. In the first play, the setting is a family home where a mother and her children are happily playing a card game together. In Act I, the husband arrives home from work tired and hungry. Ignoring the children, he calls to his wife to bring him his food quickly. The children sit up somewhat fearfully as their mother brings him boiled bananas in coconut cream and some lemon leaf tea. He starts screaming at her saying he does not want to eat boiled bananas and lemon leaf tea for his dinner. Calling her useless among other names, he says she should have prepared a proper meal. While he is screaming, she tries to tell him she did not have money to buy food. This only makes him angrier, more aggressive and threatening. The children cover their ears and try to hide from their father. In Act II, the husband comes home from work tired and hungry but this time he takes a moment to hug his children and give them a sweet each. He asks his wife to bring him some food. She comes with boiled bananas in coconut cream and some lemon leaf tea. Surprised at this simple meal, he asks why there is nothing better and she tells him she did not have the money to buy any food. They talk about how they can manage their money better and he then says a prayer thanking the Lord for the food she has prepared for him. In the second play, the setting is again the family home where the mother and father are talking while the children are doing chores. In Act 1, one of the children takes money from the mother’s wallet. When the parents discover this they immediately start yelling at the child. The father takes off his belt and proceeds to beat the child. The mother reaches for a broom and proceeds to strike the child. Both parents yell, “don’t do it again!” In Act II, when the parents discover the misbehaviour, they approach the child asking if she knows what she has done was wrong. During the course of the conversation, the parents find out that she needed money for school the next day. The parents explain the consequences of her action and the child apologizes. Drama is a powerful way of engaging people on issues such as domestic violence and the youth of Magiagi were very quick to understand how different reactions result in very different conditions in the family. Samoan families are accustomed to physical punishment and the mantra often cited by adults today is: “I was beaten as a child, and I turned out alright.” How ‘alright’ a person is can be open to interpretation but the relevant question is: how much greater could that person have been had he or she not been beaten? Discipline of some sort, whether physical, moral or intellectual, is indeed indispensable, and no training can be said to be complete and fruitful if it disregards this element, but such discipline should be carried out gently, patiently and with loving care. The common response to this from Samoan parents is that the gentle, patient and loving approach, involving dialogue, may work with palagi children but will never work with Samoan children. The final report on the anti-violence campaign will be submitted this week to the Government of Canada. Close to 800 people participated in the community conversations organised by the Tiapapata Art Centre. Of this number, a total of 442 respondents participated in a survey aiming to provide a rough indicator on the prevalence of violence in their respective communities. Just over 30% of the respondents either personally knew someone or were themselves victims of violence in the last 12 months (12% of the male respondents, and 19% of the female respondents). 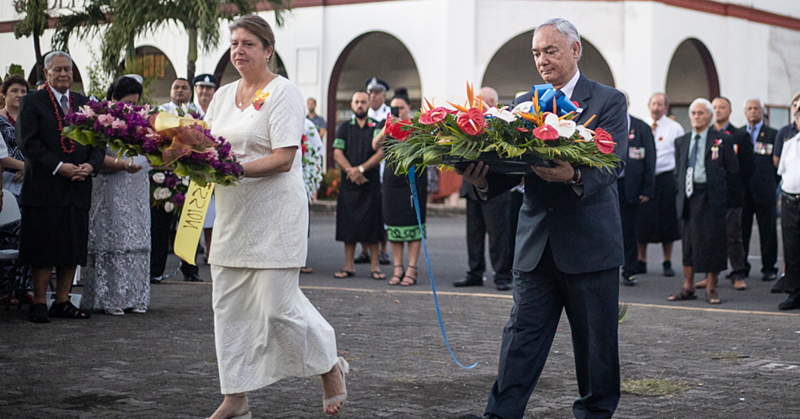 Among the key findings of this work is that Samoans hold a strong belief in the efficacy of the vā tapuia cultural construct (sacred space governing all relationships) to counter violence, and that religious faith plays an important role in building and maintaining harmonious families in society. 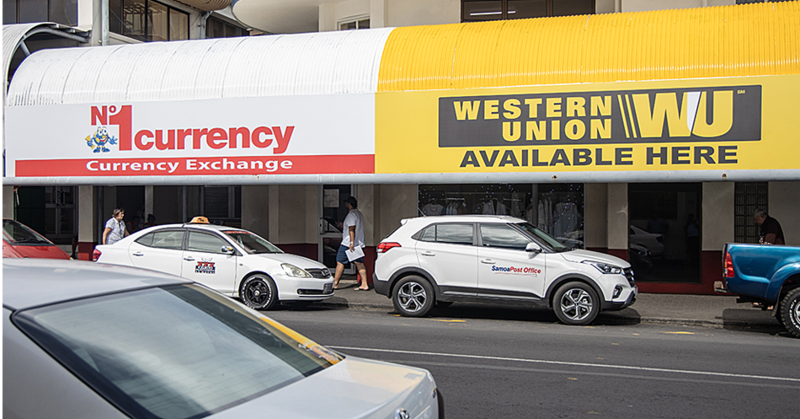 Other findings perhaps needing to be re-examined include the widespread belief that the only way to guide a child from error is through the use of the sasa (beating), that the rights of women and children are problematic for society and will erode Samoan culture, and that a woman’s role is subordinate to that of the man, as his helper. Violence against women and girls is both pernicious and complex and these community conversations reaffirm the problem exists while emphasising the need for solutions to originate from within families and communities.